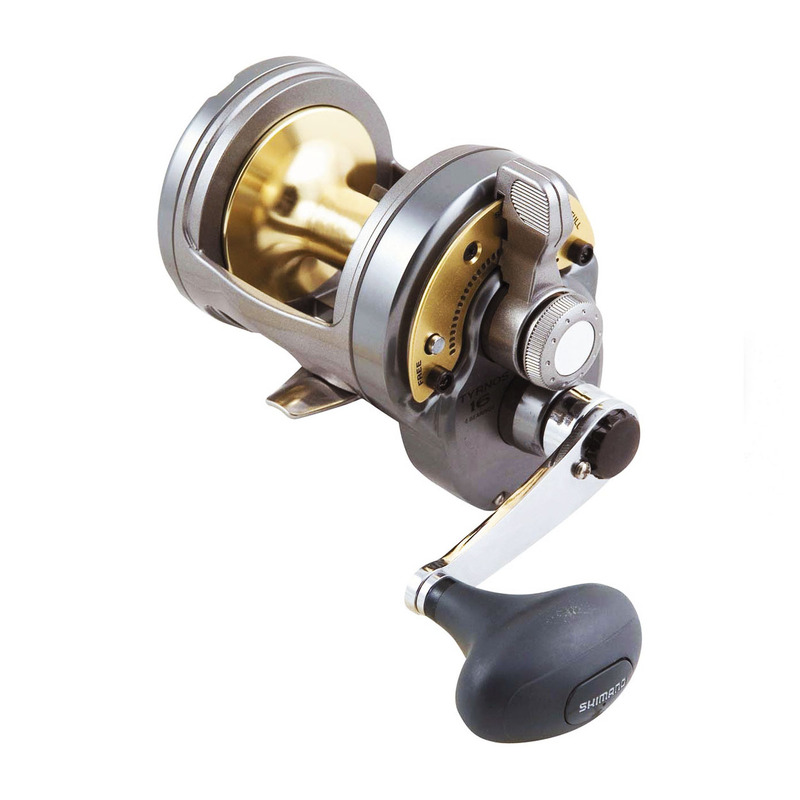 A powerful range of lever drag multiplier reels available with either a single or dual speed retrieve. The Tyrnos 30 is the reel currently in vogue on the British shark-angling scene. When loaded with modern, ultra-low diameter braided lines such as PowerPro, the smallest models within the Tyrnos range are proving increasingly popular with specialist anglers. The reels are small and light enough to fish comfortably all day for key species such as cod, ling and pollack, yet retain the inherent strength and high levels of engineering to comfortably handle the most powerful species available in Europe, including the likes of wreck conger, giant skate and sharks offshore in deep water.